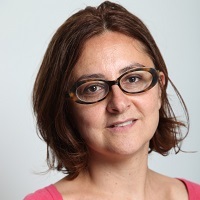 Dr Giacinta Cestone, Associate Professor in Finance, Cass Business School, has been selected to serve on the Economic Advisory Group on Competition Policy (EAGCP) at the European Commission. EAGCP members are proposed by the Chief Economist and nominated by the Commissioner. The EAGCP creates a discussion forum on competition policy matters between academics who have a recognised reputation in the field of industrial organisation. Members represent different fields of research and academic research centres in Europe. Its main purpose is to support DG Competition in improving the economic reasoning in competition policy analysis.